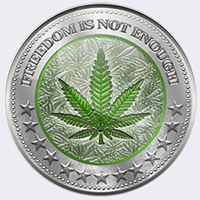 The DopeCoin, (symbol DOPE) digital currency was released on Feb 22nd, 2014 and runs without being controlled by any monetary authorities. It is not a mineable decentralized digital asset, so in order to get DOPE, you must purchase them through a cryptocurrency exchange. It uses the proof of work (pow) consensus and the Scrypt algorithm. DopeCoin can be found online, on social media like Reddit and Facebook. We don't have any wallets listed for DopeCoin yet, check back soon! We don't have any debit cards listed for DopeCoin (DOPE) yet, check back soon! We don't have any price charts listed for DopeCoin yet, check back soon!